Chigiri Emmanuel Kai graduated with a Bachelor of Economics and statistics from the University of Nairobi, life turned out not to be what he had hoped for. 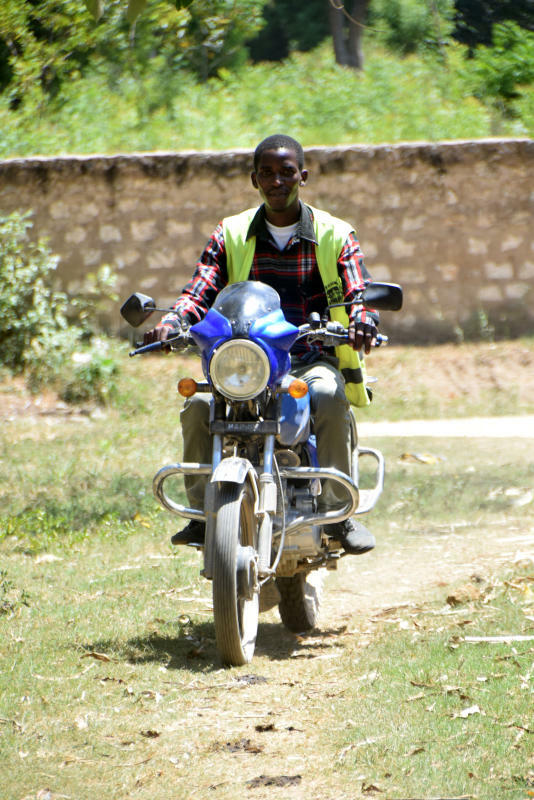 The young man who hails from Kilifi County resorted to being a boda boda rider due to lack of employment opportunities. Since he could not afford to buy his own motorbike Chigiri uses a leased one, which he pays the owner a daily stipend of Ksh300. 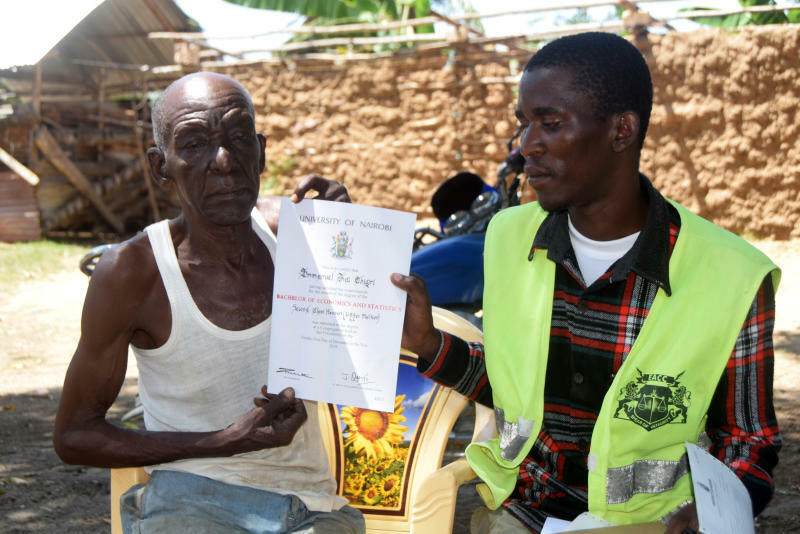 ''From a Second Class Honors (Upper Division) award to a bodaboda rider. This is what life has turned out for me. But I am banking on God's intervention for a steady job,'' the confident Chigiri explained to The Standard when they met him transporting passengers in Mtwapa. Mzee Kai Haron, Chigiris aging father explained how he borrowed money, relied on well-wishers and even sold part of his land to ensure his son went through school. "My other children are struggling in school while others have dropped out,'' Mzee Haro, a husband of three wives complained. When Chigiri was transitioning from primary to secondary school he lost his mother to breast cancer. When her mother fell ill, she had requested that the little savings she had of Ksh15,000 be used to ensure Chigiri went to school instead of taking her to hospital. After sitting for his Kenya Certificate of Secondary Education (KCSE) in 2013, he got admission to the University of Nairobi after attaining a grade of B- (minus). ''Coming from a very humble background, Nairobi to me was a very foreign land. However, the son of our neighbor from Mtwapa took me in for a few days and ensured that I found my footing around the capital,’’ Chigiri, who sold airtime scratch cards on a part-time basis as he continued with his studies explained. Mzee Haron claims that Chigiri was his ticket for a better life after he went to university after excelling in secondary school but now he is losing hope.